Is herbal medicine as inappropriate to primary and secondary healthcare provision on the grounds of lack of evidence base and cost as medical orthodoxy maintains? How did one model of medicine attain the ideological monopoly so as to shape the nature of our National Health Service provision? Does that monopoly deliver best possible health care or serve some other vested interest? The aim is not to argue that herbal medicine should be included within the health service above other modalities (least of all the biomedical one), but to use it as an example to explore the process, impact and consequences of other approaches being left out, and the arguments for a more pluralistic and integrated system of healthcare. Western herbal medicine is the system of medicine from which the biomedical branched. The earliest written records of this tradition date back to the 4th century BC, though evidence suggests people throughout the world used plants as medicine for millennia before this. 80% of the world’s population still relies on herbs for their health. A practitioner trained in western herbal medicine today in the UK may well borrow diagnostic tools from other traditions to complement and enhance her own. She will also be using diagnostic procedures and tools familiar to health service professionals – eliciting a case history, a stethoscope to listen the heart and chest, a sphygmomanometer to take blood pressure, an ophthalmoscope for looking in eyes, an otoscope for looking in ears etc. The procedure may take more time than the average health service consultation. A holistic approach will be employed that acknowledges the many different causal factors that contribute to our well being (from genetics to material reality), recognising the uniqueness of the individual; and the lack of separation between mind and body and spirit. Treatment will come in the form of advice and support with diet and lifestyle, referral to other agencies, and herbal medicines in the form of tinctures, tea, syrups, creams, ointments etc. This last example highlights an important aspect of herbal medicine that is only just beginning to break through scientific consciousness. Initial research revealed that not only was the simple plant infusion more effective than the synthesized alternative, but it also worked better than the standardized plant extract. This would seem to confirm something that herbalists have argued for a long time – that plant medicine contains a complex, interacting and dynamic cocktail of chemicals which as a whole may be more effective or appropriate than the so-called ‘active constituent’ in a plant, be it extracted or synthesized. This issue of evidence is important. The question of whether a tool or a system of medicine has sufficient evidence to justify inclusion into the health service or the medical model in general is obscured by the random – or not so random – decisions that shape the goal posts for measuring what is considered to be ‘valid evidence’. An ‘evidence base’ within mainstream medical protocol does not include thousands of years of empirical use, even where analyses of constituents demonstrate properties that are consistent with that empirical experience. Lack of ‘scientific evidence’ is often sited as an obstacle to taking a more pluralist approach to health care. This obstacle becomes a cul-de-sac when you consider that the large-scale research needed in order that a process or product be considered to have sufficient evidence base, is expensive, market driven, and inherently needing the input of pharmaceutical companies who will need to justify their investment with the anticipation of significant profits associated with a marketable product. While it might be true that some mass produced, standardized herbal preparations may well fit this criterion, holistic herbal medicine as a system of health care that emphasizes the needs of the individual and may come in the form of different solutions in different circumstances and locations, will always be difficult to push through this particular ‘evidence’ hoop. To be clear, a service delivering provision for the community funded by the community (or the nation) has to have some system of accountability and checks and balances in place in order to determine what is the right medicine for the individual or the community within the limited resources available. However the current system of pseudo-scientific evidence base does not deliver this. It is ‘pseudo’ scientific because the process of obtaining evidence is not neutral or unattached to the outcome. ‘Evidence’ within the current paradigm is expensive. It can only be obtained through investment of large funds. And herein lies the flaw – the pursuit of evidence currently is the prerogative of drug companies who have the funds to invest in creating it with most of an eye on producing a product that can be sold for profit and return their investment. The result is health care where the goal is profit rather than health. This brings us to the issue of cost. If we were to decide that our health care provision would benefit from a pluralistic approach that included methods beyond the so called evidence based bio-medical model, what of the cost? There is sometimes an implicit assumption that holistic, individually tailored health care is all very well if you can afford it. Activists and community members fighting to prevent the erosion of basic provision; health visitors, nurses, midwives struggling to maintain their professional integrity against a backdrop of over-work and under-staffing, may consider the seemingly peripheral issue of which model of medicine is used, a kind of intellectual luxury miles away from the everyday reality of maintaining basic bread and butter health care in the face of huge pressure. But the rationale for the economics of health depends, as with so many other things, on the point at which you do the sums. Scenario 1. A child has atopic conditions, asthma and eczema. The pharmaceutical option includes steroid creams and inhalers. These can work miraculously and in the short term buy the body time and space to recover its equilibrium. But if they don’t work and the condition becomes chronic, the very medicines can add to the problem by thinning and making more fragile the epithelial layer of the skin and lungs, reducing the opportunity of the tissue to heal, increasing susceptibility to hypersensitivity. (xii) A herbal practitioner will take time to listen and find out the causes behind the atopic response. These causes will vary from individual to individual. There may be some red herrings along the way. A parent may need support to put difficult behavioral or dietary changes in place. All very labour intensive and seemingly not cost effective compared to the quick fix option. However if the quick fix option fails (and it often does) and you take into account the cost to the child and their immediate community of the condition not resolving – sleepless nights, poor concentration, exclusion from certain activities and possible hospital admissions – then the labour intensive option seems viable. Scenario 2. An immuno-compromised individual with weak lungs and a viral cough. Twenty years ago a GP might well prescribe prophylactic anti-biotics in case the cough becomes a nasty chest infection. Astonishingly many still would today. In terms of convenience this would seem a preferable option to mucking about with specific and individual prescriptions for tinctures and herbal teas and chest rubs and dietary changes, let alone anything as messy as garlic plasters! The imperative to use herbal medicine in conjunction with, or initially in place of pharmaceutical anti-biotics does not come from a nostalgic notion of using old fashioned remedies. There is a life or death imperative to preserve and ration the use of anti-biotic drugs so that pathogens are not continually given the opportunity to develop resistance. Sixty years ago the medical profession and the policy makers could not have anticipated the issue of anti-biotic resistance. And it is fair to say that part of the answer to the question ‘How was one model allowed to attain dominance in such a way as to shape the nature of health care available?’ lies in the fact that at the inception of our health service in 1948 – and perhaps for the next 30 years or so – many people laboured from within the flush of euphoric optimism that this contemporary branch of medicine, this pharmaceutical led biomedical model, held all the keys to a virtually disease free society. These keys, it was supposed, came in the guise of miracle cure pharmaceutical products – anti-biotics and anti-virals for infections; chloraquinine for malaria; chlorpromazine, Librium or Valium for mental distress; cortisones and anti-histamines for allergic responses and auto-immune diseases. Another part of the answer lies in the fact that much of this really was true. The biomedical model has indeed spawned pharmaceutical treatments that have delivered and continued to deliver dramatic and reliable ameliorations to pain and disease. Of course it has become apparent that is not the whole story. Many emerging diseases are chronic consequences of modern lifestyles. Sometimes the drugs have not been able to deliver in a way that people had hoped – pathogens developed resistance to the anti-infectives; the miracle cures (as with those of the preceding 60 years such as mercury and arsenic) turned out to have disastrous side effects. Sixty years on, with the luxury of hindsight, we have no excuse for imagining that the solutions are so simple. However even at the time, the dominance of the pharmaceutical-led biomedical model was not achieved just by default and a naive sense of optimism. There were other factors. The issue of profit motive has already been alluded to in the section on evidence base. It could be argued that reductionist, product led healthcare solutions are a logical response from a capitalist society. We are used to thinking of the NHS as a triumph of socialism, and that the overt push towards market led health care is a sinister post-Thatcher, post-Blairite development. In fact our health service is firmly rooted in state capitalism – despite the altruistic, community serving and collective intentions of many policy makers, commissioners and employees over the last 60 years. A second factor has been the competitive drive towards dominance and protectionism from the medical profession, compounded by the failure of herbalists and others to unite and organize coherently in relation to this. Protectionist battles have been fought, won and lost at judicial and legislative levels since the time of Henry VIII. The general pattern has been repeated attempts by the medical profession to push for legislation criminalizing unlicensed practice by anyone other than their own members, counteracted by some sections of the herbal medicine profession lobbying for official legal status in their own right. Generally each side failed on both counts, but records of the Association – now the National Institute – of Medical Herbalists show continuous harassment, vexation and attempted legal suppression from the medical establishment diverting all their energies and resources from the last years of the 19th century and the first decades of the 20th. On occasions the medical profession succeeded in achieving legislation that marginalized herbalists, and ordinary people found ways around it. For example, while the 1858 Medical Act had debarred herbalists from, among other things, issuing sick notes, the Royal Commission on the Medical Acts heard how ‘in large manufacturing districts there are vast numbers of people who have only Herbal practitioners for their Medical Attendants, and that Club and Benefit Societies have passed Byelaws to enable their members to employ Herbal Practitioners and do receive certificates from them’. The 1911 Insurance Act did not explicitly forbid approved societies from paying benefit on a herbalist certificate; but doctors sitting on the insurance panels made sure that insurance companies refused contracts to herbalists. Herbalists attempted to mobilize and protest against this, but just at that point along came the First World War and the issue became somewhat peripheral. (Ironically the wartime demand for garlic to use on the front line casualty stations caused the government to require tons of bulbs to be produced urgently). In 1941 the Pharmacy and Medicines Act was rushed through onto the statue book, removing the right of herbalists to supply medicines directly to their patients, effectively making them illegal. Paradoxically herbalists were, after some negotiation invited to join the health service in 1948, on condition that they undertook expensive education schemes, received marginal income from NHS prescriptions and remained subordinate to the regular medical profession. They opted to remain outside. History has yet to reveal if this was a decision that severed access to herbal medicine for 60 years, or preserved the tradition to remain intact for future generations. The issue of gender cannot be ignored. Healing the sick, delivering babies, caring for the dying – these tasks, historically, are associated with women. Knowledge of medicinal plant lore has always been inextricably linked with these tasks. The roles of midwife and nurse have naturally been subsumed into the health service – they are the backbone of it - but the skill and craft of these professions is often subjugated to the perceived greater authority of biomedicine. The value a society puts on certain tasks is often reflected in the wage and management structures of its institutions. Health service employees have been battling these inequalities for the last 60 years. It may seem farfetched to link health policy decisions in 1948 with the witch burnings of previous centuries, but patriarchal establishment bias against areas of expertise that are considered the province of women was, and continues to be, a factor. And the next 60 years? Ten years ago, the Mental Health Foundation carried out a study aimed at metal health service users. It framed the disorientating simple question: ‘What works for us?’ The study was extraordinary because it shifted the investigation away from measuring how subjects responded to a new drug, compared to their counterparts in a placebo taking control group – and towards exploring, from the point of view of the individual, what helped them deal with their mental health problems. The constituency of mental health service users is slightly unusual in that it is more organized, more defined than other groups. Many within it have become politicized and less deferential to the whim of medical opinion through bitter and bruising experiences of state imposed ‘health care’. For many in this group demanding diversity of provision and evolving alternatives to what the state had to offer has been less about seeking ‘freedom of choice’ in the privileged language of market speech, and more about fighting for survival. In order to shape our provision to reflect ‘what works for us’ within the resources available, we need to search for ways of gathering, recording and disseminating evidence of what is good practice, from the ground up. Evidence must include our experiences. Not instead of, but as well as traditional scientific method. We cannot allow the viability of a medicine to be measured in terms of whether it can be patented or not. The issue of anti-biotic resistance is an example that demonstrates the urgency of this and brings to light the mantra, ‘act locally, and think globally’. We cannot afford to wait for policy changes from above. 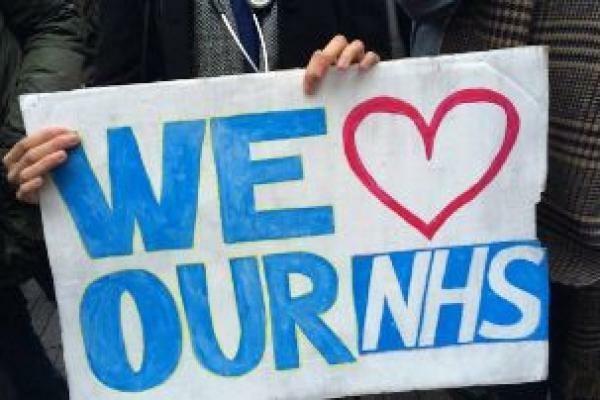 The constant ‘back against the wall’ struggle to defend crumbling services at a grassroots level – both by members of the public and health service employees – can often distract from the task of pursuing creative, community specific and diverse solutions. Pluralistic and integrated solutions need not be restricted to funding a wider variety of health practitioners. It may include, for example, provision of allotment gardens for schools and care homes. The culture of deference to the smokescreens of ‘expert medical opinion’ and ‘scientific reasoning’ distract and deskill in relation to the task of grappling with the complexities of meeting the changing health care needs of our communities. Alexander Fleming actually noticed, back in 1928, that the microbe inhibiting mould he had discovered stopped working after a while. Had all factors been equal and the science of health care been pursued for its own end, medical history may well have taken a different direction. The consequences of handing over responsibility for our health and the pursuit of medical knowledge have global and generational implications. Some things are just too important to be left to the vagaries of vested interest, market forces and the hands of governments. Behnke K, Jensen GS, Graubaum HJ, et al. Hypericum perforatum versus fluoxetine in the treatment of mild to moderate depression. Adv Ther 2002;19(1):43-52. Dodge HH, Zitzelberger T, Oken BS, et al. A Randomized Placebo-Controlled Trial of Ginkgo Biloba for the Prevention of Cognitive Decline. Neurology. February 2008. Yang X, Chen J, Qian Z, Guo T Study on the antibacterial activity of ginkgolic acids. Zhong Yao Cai. 2002 Sep;25(9):651-3. Delaha EC, Garagusi VF. Inhibition of mycobacteria by garlic extract ( Allium sativum ). Antimicrob Agents Chemother. 1985;27(4):485-486. Moore, G.S. and Atkins (1977). The fungicidal and fungistatic activity of an aqueous garlic extract on medically important yeast-like fungi. Mycologia, 696:341-348. Pongrojpaw D, Chiamchanya C. (2003) The efficacy of ginger in prevention of post-operative nausea and vomiting after outpatient gynecological laparoscopy. J Med Assoc Thai. ; 86(3):244-50. Akoachere JF, Ndip RN, Chenwi EB, Ndip LM, Njock TE, Anong DN(2002) Antibacterial effect of Zingiber officinale and Garcinia kola on respiratory tract pathogens. East Afr Med J.;79(11):588-92. Kabir O Akinyemi, Olukayode Oladapo, Chidi E Okwara, Christopher C Ibe, and Kehinde A Fasure. (2003) Screening of crude extracts of six medicinal plants used in South-West Nigerian unorthodox medicine for anti-methicillin resistant Staphylococcus aureus activity Int J Food Microbiol. 80(3):223-30. Alzoreky NS, Nakahara K 1998. Antibacterial activity of extracts from some edible plants commonly consumed in Asia. J Hosp Infect. 39(3):244-5. Mueller MS, Runyambo, Wagner I, et al. (2004). "Randomized controlled trial of a traditional preparation of Artemisia annua L. (Annual Wormwood) in the treatment of malaria". Trans R Soc Trop Med Hyg 98: 318–21.